This plant was given to me by a friend who recently passed away. 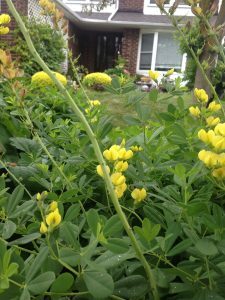 This plant blooms in the month of June, is herbaceous, has spikes with yellow flowers and oval leaves…. A perennial.